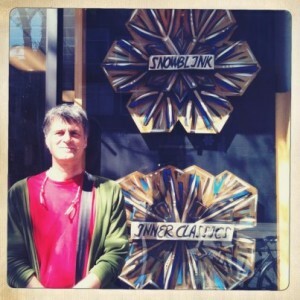 Toronto/California based artist Snowblink asked me to create a 3-D version of the cover of her new CD for the window display at my favourite record store Soundscapes on College Street. Inner Classics is being released Sept 27 with a performance at The Music Gallery. Instagram by Daniela Gesundheit.